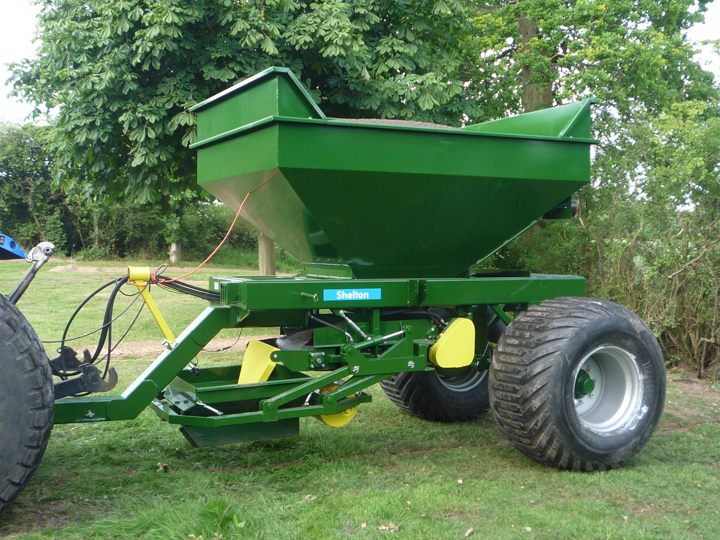 The Universal differs from our other hoppers in that it contains a moving floor in the main hopper in the form of a conveyor, which can feed a centre fill to place gravel or sand into the trench after drainage pipes have been installed. 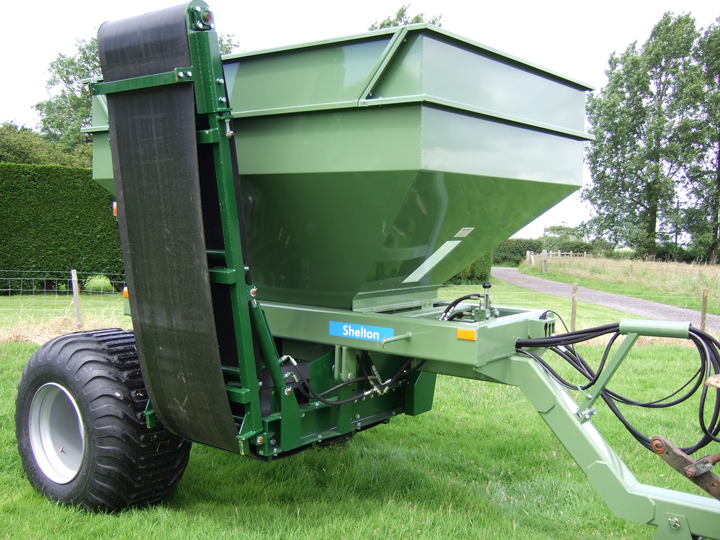 The hopper is longer and lower for easier loading and the conveyor can move material forwards or backwards depending on the job required; it will move forward for both the Side Discharge Unit (Gravel Cart) and Centre Fill Unit (6 Tonne Fast Flow), or in reverse to feed the Sand Spreader. The Universal comes complete with electro hydraulic controls including hydraulic motor speed control giving the option to speed up or slow down, depending on the material which is being used. This can all be operated from the tractor cab and the addition of a hydraulic block, rather than valves means that one operation will not affect another, giving optimum control and performance. The ability to backfill both gravel and sand at the flick of a switch gives the added advantage that the backfilling operation is much quicker and can keep up with the trencher, reducing downtime. Hydraulic Serv. : One double acting spool valve, electro hydraulic controls for hydraulic rams, hydraulic motors including motor speed control from the in cab control box. Once depth of fill is set, hopper fills to same height automatically.